This booking policy applies to all bookings for sessions on or after 1 January 2019. All bookings must be made using our online booking service MagicBooking which is provided by our supplier MyPlayService Ltd.
MagicBooking can be accessed at https://ecclesallkidsclub.magicbooking.co.uk. Booking must be made at least 24 hours before the session. Parents/carers registered with MagicBooking will be notified when bookings open by email. Book a repeating pattern of attendance (EG Every Monday & Wednesday) for the whole of a booking season. Book any pattern of individual sessions. Holiday club sessions are made available on a first come first served basis and must be booked using MagicBooking by the advertised deadlines. The club aims to provide spaces at breakfast and after-school club for every child that requires one. To ensure breakfast and after-school places are allocated most efficiently parents/carers will be able to make repeating pattern bookings only during the first 2 weeks of booking. Booking restrictions will then be removed allowing parents/carers to book any pattern of individual or repeating sessions. The club aims to provide enough places to meet demand, however where necessary waiting lists will be set-up. A separate waiting list will be maintained for each club session. To meet the aims of the policy waiting lists will be prioritised using the criteria below, where multiple children fall within a category, places will be allocated in the date order. Details of the current fee structure are available from the club website, MagicBooking or staff. Fees are subject to regular review by the management committee. Parents/carers will be given at least one month’s notice of any change to the fee structure on the club website. MagicBooking enables users to setup a payment plan using CCV/TFC and pay any outstanding balance using a credit/debit card. Credit/debit card payment plans spread the cost of a booking across the booked period. If the booking is made and plan setup before an activity has started a credit/debit card deposit of £10 will be taken at the time of booking. Payment by Cash, Cheque or bank transfer will not be accepted. 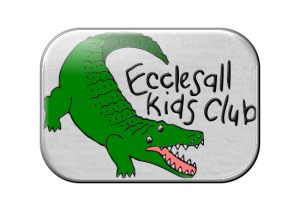 Parents/Carers who are concerned about their ability to pay or who want to discuss paying using an alternative method should contact the club manager at ecclesallkids@gmail.com. Parents/carers can cancel a booking or part of a booking in MagicBooking at any time. If 20 days notice is given a credit will normally be made against the relevant booking. Parents/carers are asked to give as much notice of any cancellations as possible so places are made available for other children. To discourage the block booking of places by parents/carers who may not need them the club reserves the right to cancel a booking at the club if repeated cancellations are made, the club reserves the right not to provide a refund in this circumstance. Once booked holiday club sessions can not be cancelled due to the costs associated with providing these sessions. We may allow a swap to an alternative session subject to availability. If we have already incurred expenditure (for example group tickets or coach travel) we may not be able to refund this cost, even if we are able to offer a swap to another session. Whilst we would prefer cancellations to be made in MagicBooking if you need to cancel a session on the day (for example if your child is ill) you can do this by phoning or sending a text message to the club before the start of the session (our phone numbers are on our website). If a child will not be attending a session parents/carers must cancel that session in MagicBooking or by phone/text on the day. This ensures club registers are correct. The club may apply a no-show charge of £15 to a parent/carers account if a booked child does not attend the club and the session has not been cancelled in MagicBooking or by phone/text on the day. The club manager may cancel this charge in exceptional circumstances please email ecclesallkids+charges@gmail.com to apply for the fee to be cancelled. If we are not able to provide a service for reasons that are beyond our control, for example extreme weather or school closure, credits and refunds will not be provided. Applications for a refund of any credit on a users account must be made to the club manager. Refunds will only be made using method payment used. CCV/TFC payments can only be refunded to the scheme provider. After school sessions finish at 18:00 and parents/carers must ensure that their child is collected by this time in-line with club policy 6.9. The club will apply a charge of £15 to a parent/carers account if a child is collected late. The club manager may cancel this charge in exceptional circumstances please email ecclesallkids+charges@gmail.com to apply for the fee to be cancelled. If a child is repeatedly collected late the club reserves the right to cancel the child’s place at the club, the club reserves the right not to provide a refund in this circumstance. Parents/carers will not be able to book sessions at the club if their account is £50 in arrears and a payment plan is not in place. The Club Manager may agree payment plans with parent/carers where financial considerations need to be made to enable accounts to be settled. The club reserves the right to cancel a booking at the club if an account isn’t settled as agreed. Parents/carers must ensure the records of their children are kept up-to-date, including: medical information allergies etc. the club will regularly remind parents/carers (by email/in-club) to check their children’s details. THIS IS THE INFORMATION STAFF WILL USE IN AN EMERGENCY. The club may refuse to take a booking if a child’s record has not been reviewed for 6 months. Disputes in relation to this policy will be managed in-line with the club’s complaints process, which is available to view at the club.